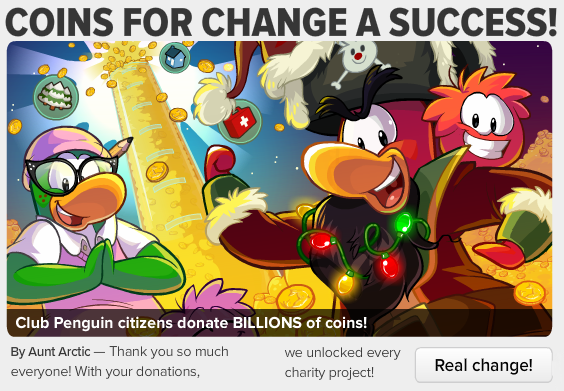 Every week, Club penguin releases one new newspaper issue for the players. Aunt Arctic, the mascot, is known for writing these issues. Occasionally, other mascots or other penguins get to add what they have to say in the newspaper. This week Rookie shares important things about being a tour guide. 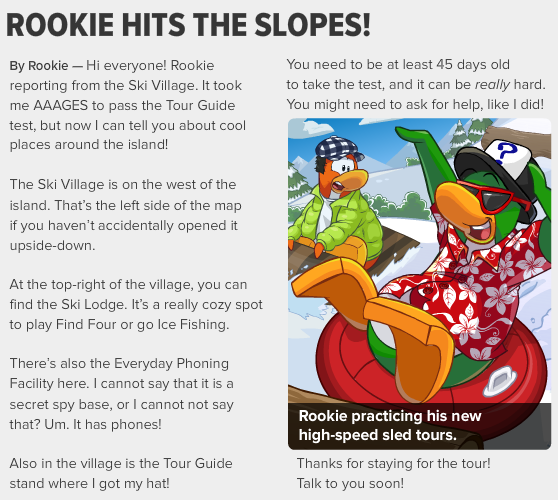 The second article, "Rookie Hits The Slopes" talks about Rookie becoming a tour guide and the approximate age to become a tour guide! You can become a tour guide when your penguin is 45+ years old. I think Rookie is trying to encourage players to become a tour guide. If you aren't a tour guide yet then I really recommend you become one. It's fine to tell other new penguins about the island. There is a quiz you have to take before becoming a tour guide, however, if you want the answers for the tour guide quiz click here. January 9 - Penguin Style - Show off stone-age style! January 9 - 22 - Next Pin Hidden. January 16 - Furniture Catalog - Ugga Ugga Furniture! 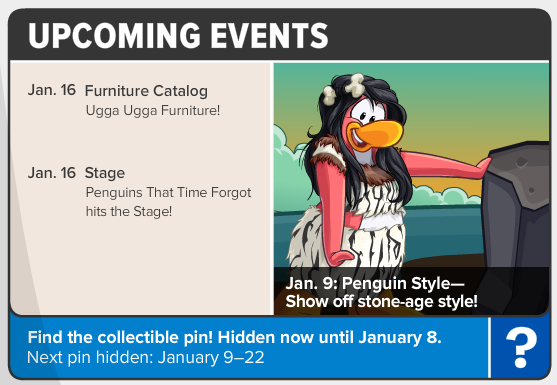 January 16 - Stage - Penguins That Time Forgot hits the State! I can't wait for the Prehistoric party 2014! Are you excited for it? Leave your comments below!